WELCOME TO DEAR MANTHANITES,PLS JOIN THIS WEB SITE:మన మంథని information resource centre for entertainment (వినోదం), custom (సంప్రదాయ), cultural (సంస్కృతి), literary (సాహిత్య) and devotional (భక్తి) aspects of all Telugu people. 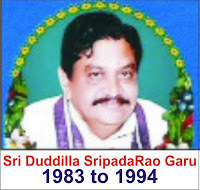 Here you will find some information and devotional Songs. 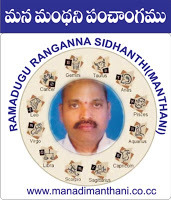 Also included is a separate Bhakti page with collection of all familiar stotras, slokas, pujas and vratas in audio and lyrics format..
We express our heartfelt gratitude to our Madhu Babai [Shri Vadavatha Madhusudhan Rao garu] for his benevolent support in not only permitting us to place the text of Manthani Ramayanam on this site but also for providing us with the soft copy of the entire book published by him. Such support surely gives us extra moral strength to bring out into light more and more about our own Manthani. We express our heartfelt gratitude to Sri Ghattu Amarnath garu and his sons(Ramu & Ravikiran) for sharing and allowing us to put the audio of Manthenna Ramanyam in the site.